We’re half way through the Summer holiday and we’re already talking about Autumn. While the sun shines (well mostly between our notorious British showers), Miss O has noticed a seasonal change. 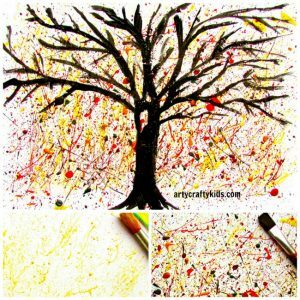 So after a lot of chat and checking out a few books, we decided to get arty, and I have to tell you, this Autumn splatter tree was not my idea! 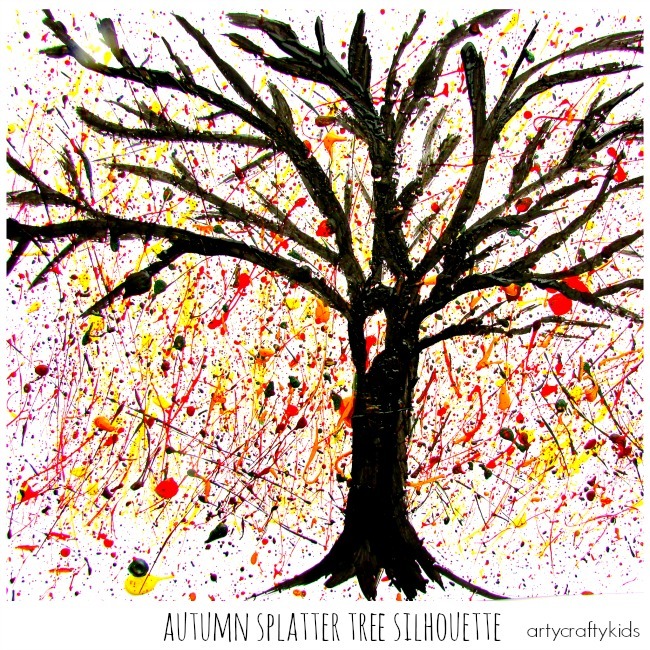 Miss O was playing around with paint and she declared the splats were like Autumn leaves falling from the tree! I do love her abstract thinking and well, we rolled with it. 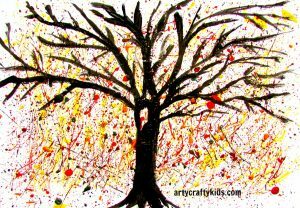 And here’s the result, a gorgeous Autumn Splatter Tree! This post contains affiliate links. Only quality and relevant products are featured. Using our Splat Painting technique, Miss O applied the first layer of paint. 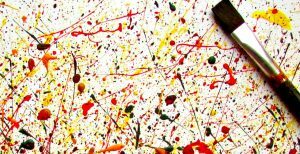 Scraping a hard bristled brush against a plastic stick (of any form, I suggested a knife or glue stick) is a great way to control the splats. You will achieve a better coverage and better splats! Continue to build on the splats, using a variety of Autumn colours. Keep going until the sheet of card is full and leave to dry before moving onto the next step. TIP: Card tends to be a much better base for painting. 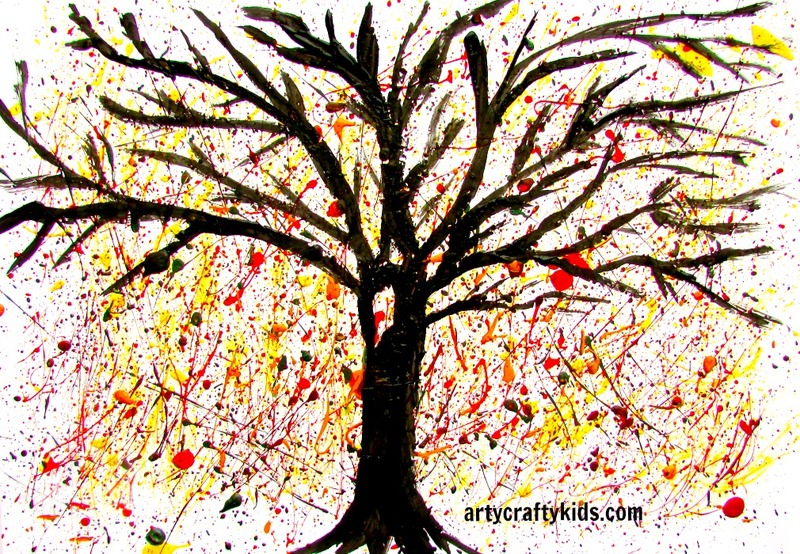 Kids, especially little ones, like to add layer after layer of paint and often with lots of water! 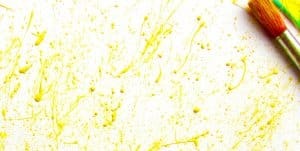 Using a firm base will prevent the painting becoming too soggy and potentially spoilt! 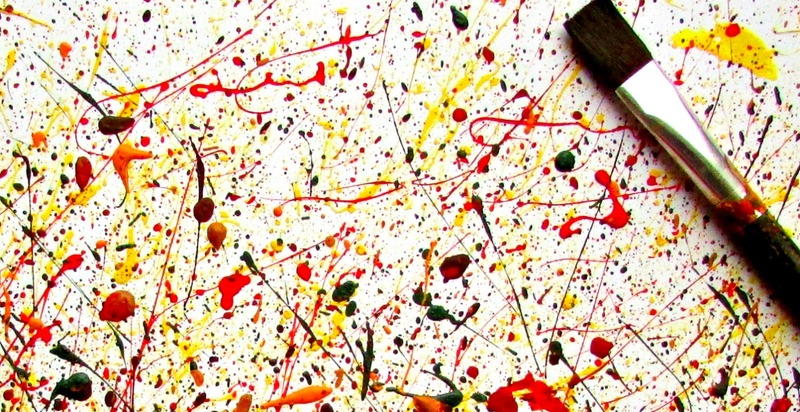 Once the splats are completely dry, start creating! 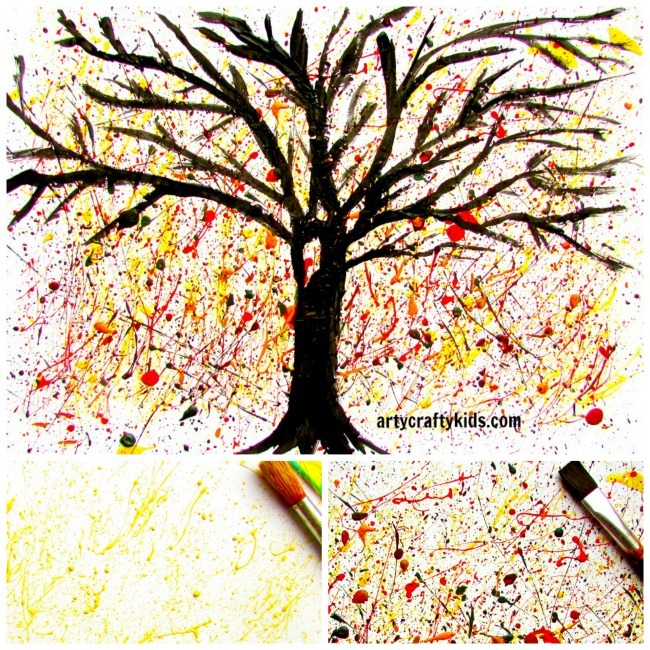 While Miss O decided to create an Autumn splatter tree, your kids may choose to paint something else! Using black against a coloured background is amazingly effective for creating a silhouette. 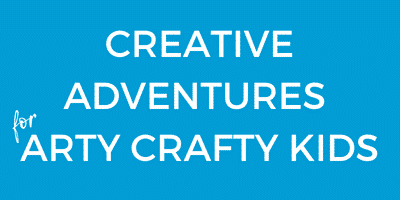 I’m sure you’re kiddos will have their own ideas! 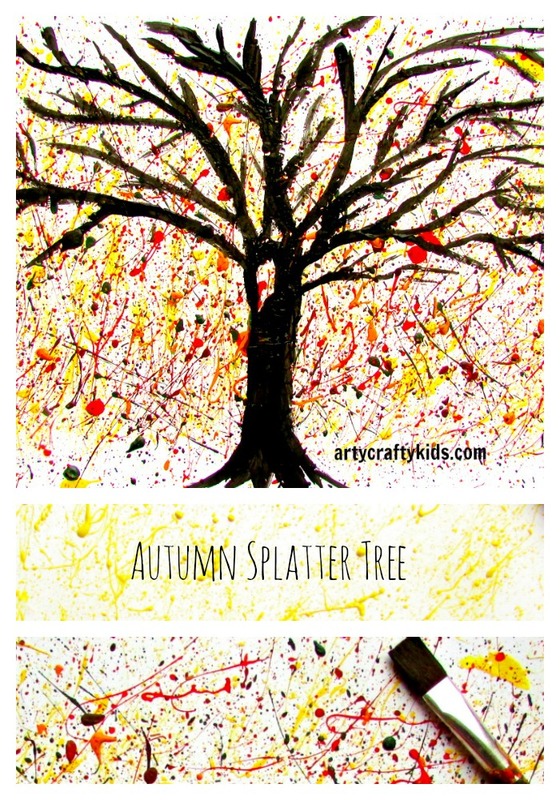 I hope your kids enjoy making their own Autumn splatter tree. 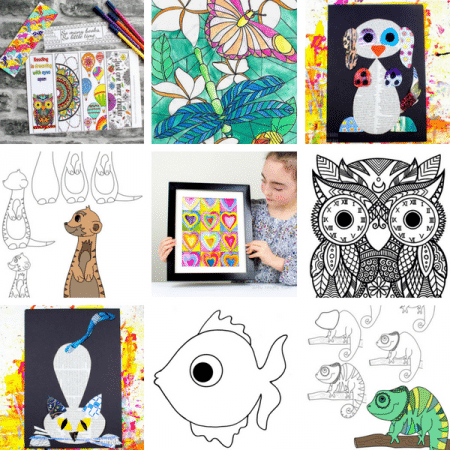 If this is an idea you’ll come back to, make sure you pin it before you go and check out our collection of art ideas for kids!